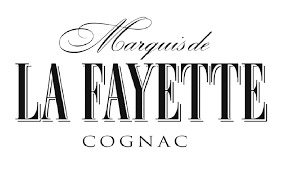 Cognac La Fayette is one of the cognac brands belonging to the house of H Mounier. Created using the traditional aging, distilling and production methods that have been famous for applying since the mid-1800s, Cognac La Fayette comes in the standard range of qualities – from VS through to XO. The brand of La Fayette has been part of the Mounier empire for over half a century. Created as a separate entity in 1954, La Fayette cognacs are aged in oak barrels and subject to the same strict quality control methods as all of the eaux-de-vie from this cognac producer. The knowledge and experience gathered since Mounier’s inception in 1858 has been passed down through the centuries, ensuring that the quality of La Fayette cognac remains stable, as all of Mounier’s cognacs. La Fayette cognacs are today exported worldwide. They can be found in almost every continent – from Europe to Asia to the USA. The packaging of all the bottles, from VS to XO, is elegant and understated. The house of Mounier also produces other ranges of cognac, along with Pineau des Charentes, vodka, armagnac, brandy, whisky and other liqueurs. There is not any information available about visiting H Mounier, which owns Cognac La Fayette. Is this cognac's history somehow linked to the famous La Fayette family? Did Mounier buy it from them? thanks for any insights.